Kyane Rulao Doddak is a quick and easy recipe. 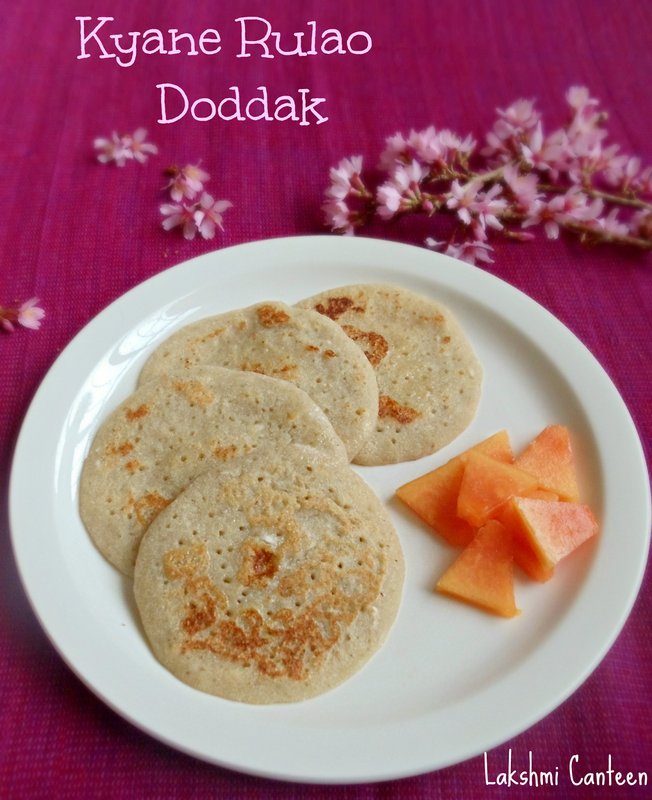 Rulao Doddak is a thick dosa made of semolina. 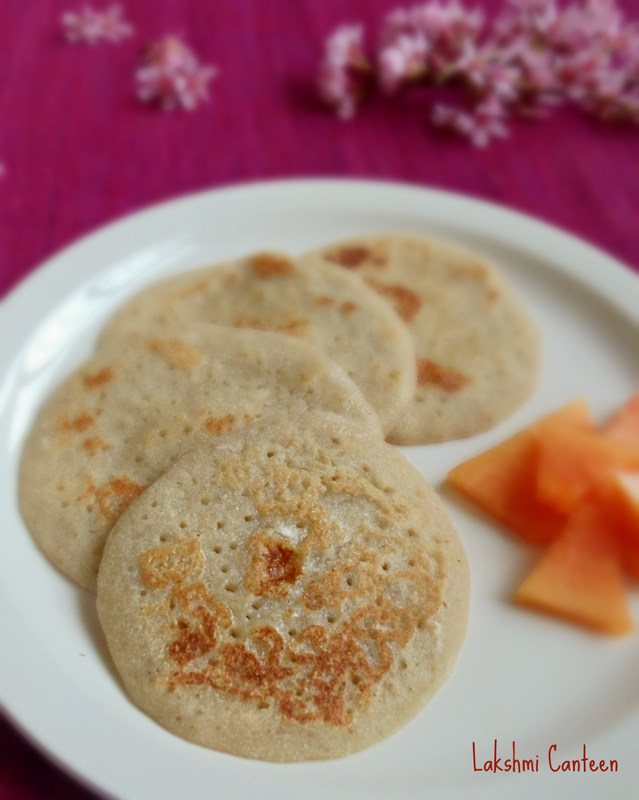 In this recipe, the semolina is mixed with sweetened banana puree and a small amount of heat from green chilli to make a sweet batter and then small pancakes are made out of it. The green chilli indeed is a surprise ingredient and compliments the sweetness of banana. It is recent try in my kitchen. I adapted the recipe from here. Few days back I came across this recipe and wanted it to try sometime. I had a banana and hence waited till the skin turned black so that I can use it for this recipe. The dosa turned out very good. Just the way I like it !! It is healthy, quick and easy to put together. One fruit which I don't enjoy eating, is a banana. But I like to bake or make halwa, sheera. 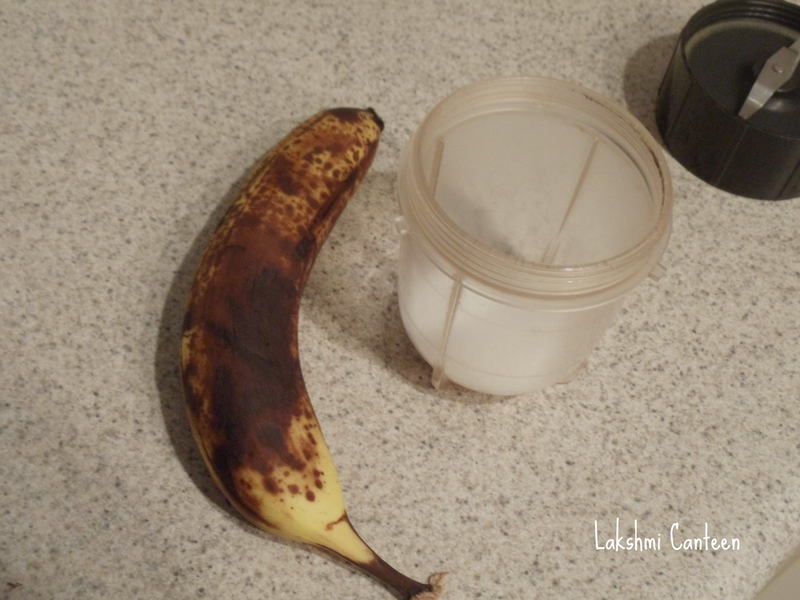 So I love over ripe, ugly looking bananas :-) This recipe is good if you have many over ripe bananas. 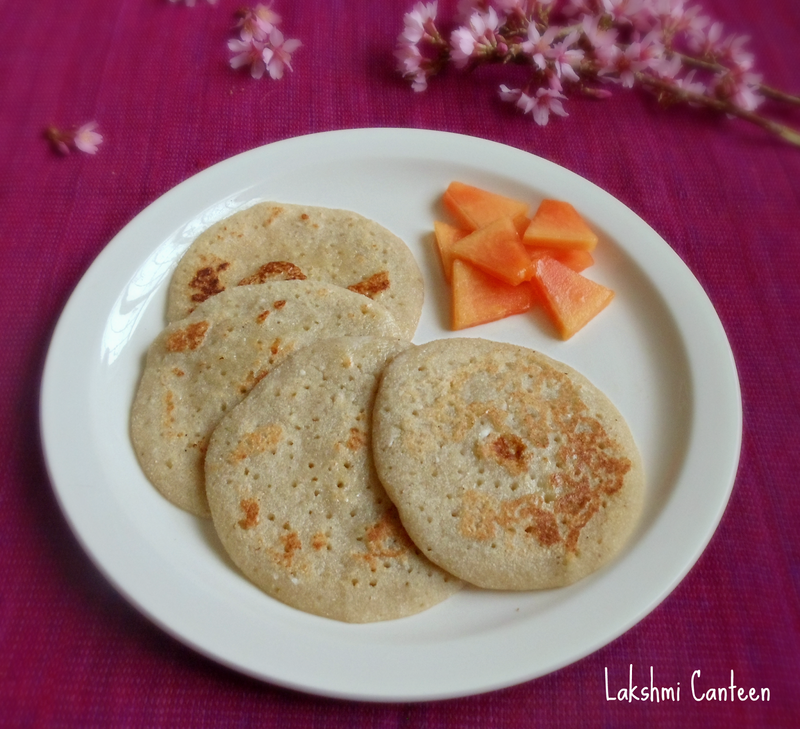 These dosas can also be served as after-school snack for kids. 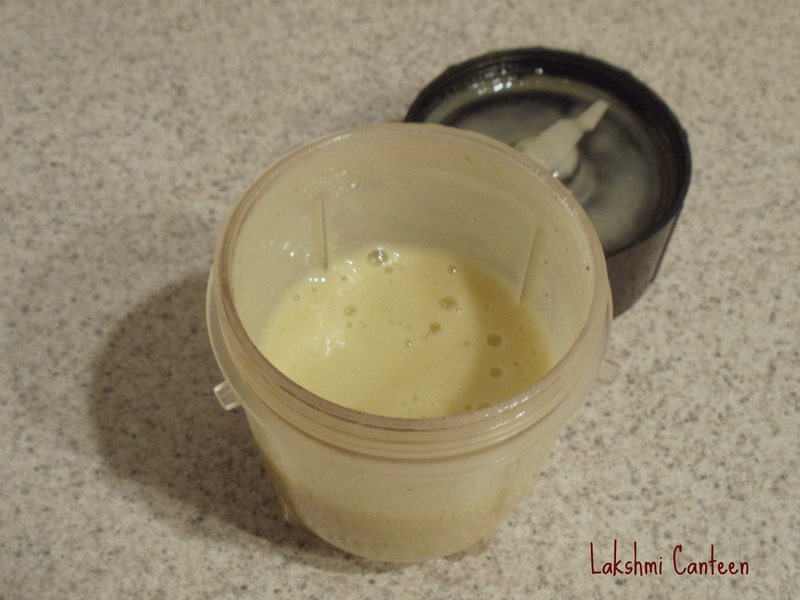 Put the green chili, sugar and the banana in a blender ( I had only one banana. Make sure to add more to get the good flavor). Blend it to get a smooth paste. 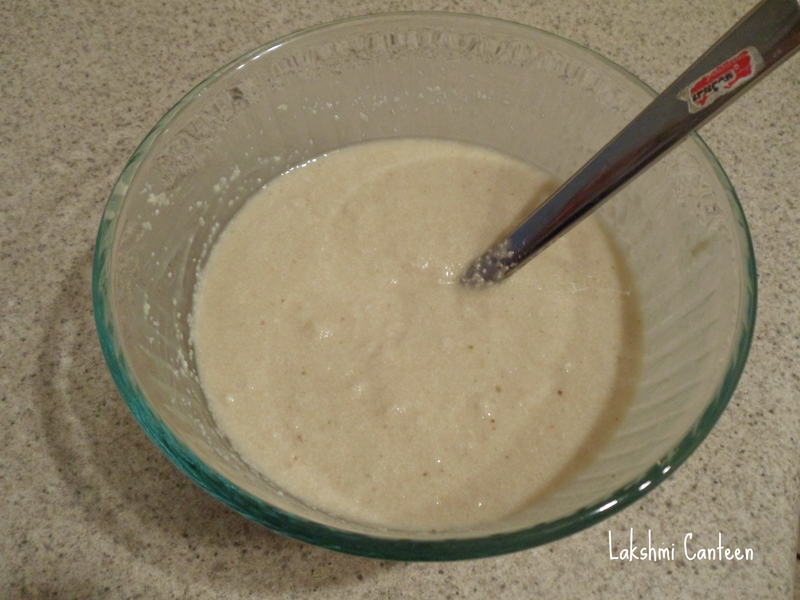 Now take semolina in a bowl and add the ground banana, salt and grated coconut. Mix well. Add little water to get a thick batter. Let it sit for 10- 15 minutes. 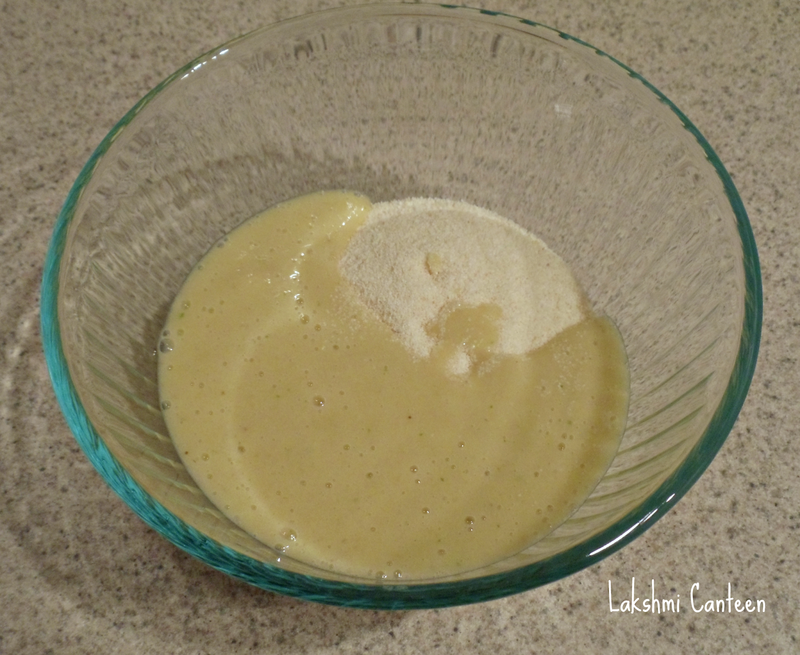 After 15 minutes the batter tends to thicken as the semolina absorbs the moisture. Add more water to get a thick batter, of dropping consistency. 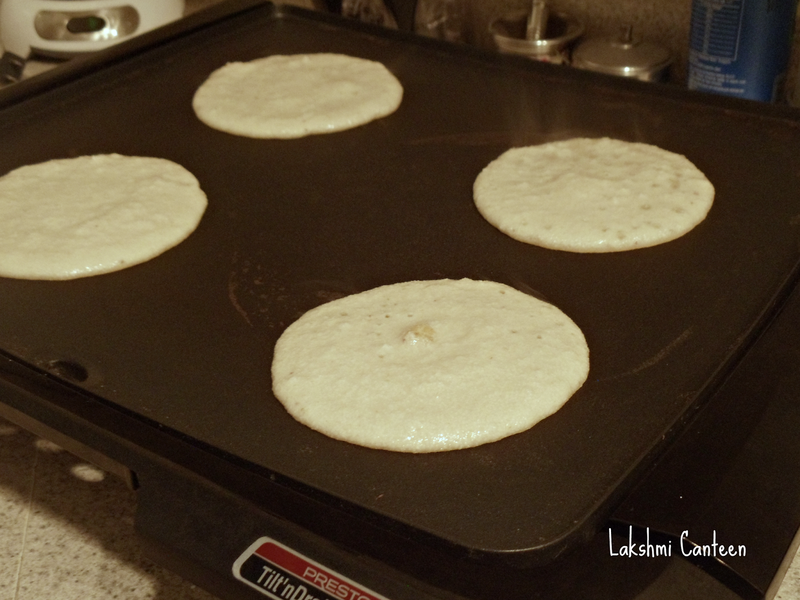 Now make small dosas on a pre heated griddle. 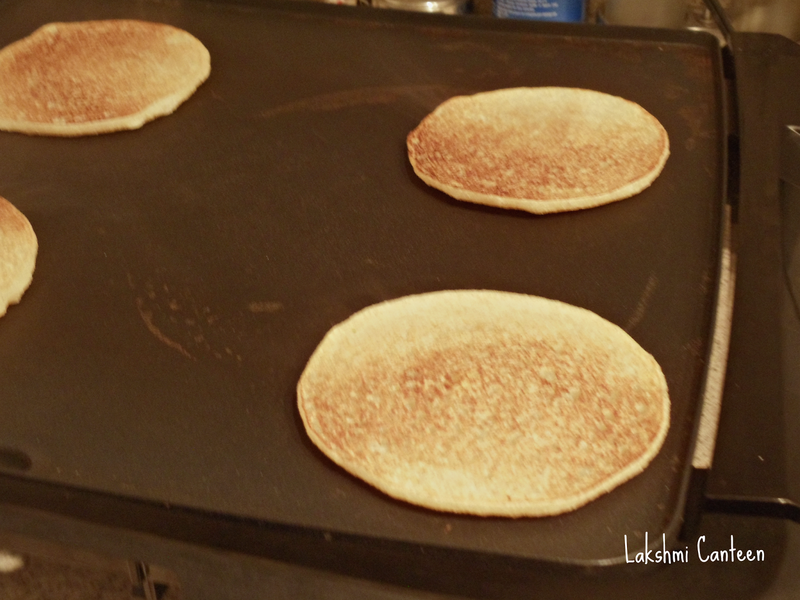 Flip it once the base of the dosa turns golden brown. Cook until the other side also turns golden brown. Transfer it to a plate. Kyane Rulao Doddak is ready!! Serve it hot with butter. Above measurement serves two people.